Very Good. 0553380370 ALL BOOKS SHIPPED WITHIN 1 DAY OF PURCHASE! Very Good. 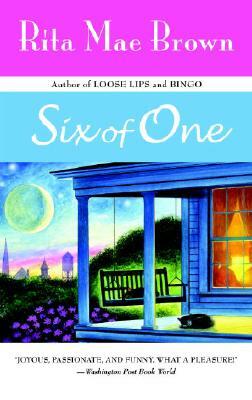 Six of one by Rita Mae Brown, 2000-01-01. Sewn binding. Cloth over boards. Good. 1983. Mass Market Paperback. Clean copy. Some light shelfwear. Good to very good.....We ship daily from our Bookshop.